In mid-May 2018, some freaky new Ice Age descended upon Toronto, encasing it in a crystalline cocoon. Fast-forward a week, and half the same city is practically blown off the planet by winds exceeding 100k km/hour. Nearing June, and Canada’s east coast was creamed by improbable snowstorms. 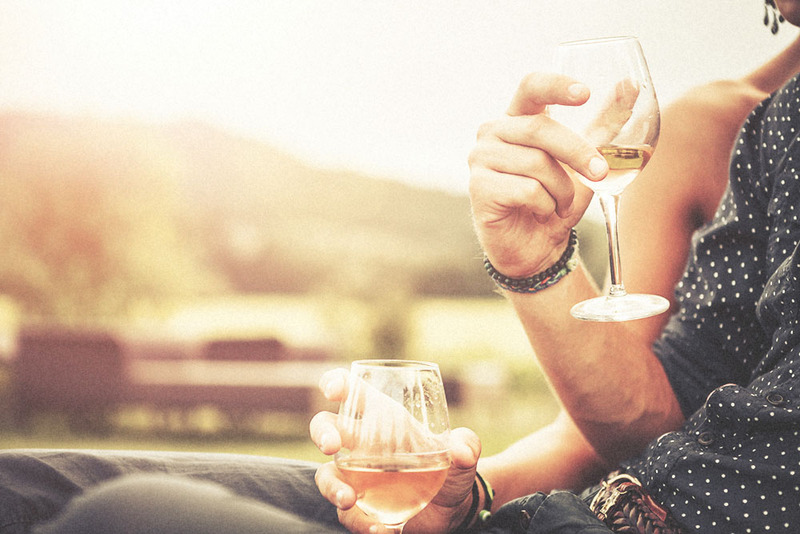 In any case, here are some warm weather white wine suggestions to put the wonky winter behind us and usher in the warmer weather that finally seems to be here. It’s sometimes a challenge to group wines into categories. Do it by grape variety? Relative weight? Similar styles? I’ve opted for something a bit different: Morning. Noon. Night (Breakfast. Lunch. Dinner, if you want to food match). Portugal’s Vinho Verde wines are perfect breakfast wines: crisp, fresh and low in alcohol. The Alianca Vinho Verde 2016 is a great wine to start. Just barely off-dry with a lively, slightly spritz-y palate and subtle vinous fruit, it’s a fun, uncomplicated bottle of refreshment. Two classically-styled Kiwi Sauvignon Blancs – Saint Clair 2017 and Nobilo 2017 – offer great alternatives to your usual morning grapefruit juice. Both these Marlborough whites have the zesty, grapefruit and mineral notes the region’s wines are famous for, with the Nobilo adding in some ripe melon/guava nuances, and the Saint Clair kicking in some gooseberry, blackcurrant and fennel. Though I’m typically snarky enough to interchange Pinot Grigio with tap water, I’ve come a cross a couple that would make for ideal summer lunch wines. The Annelise Pinot Grigio 2017 from Nugan Estate in New South Wales shows some character, with aromas and flavours of flower blossom, melon and red apple; while the Pasqua Pinot Grigio delle Venezie (upgraded from IGT to DOC status as of the 2017 vintage) delivers nougat, pear and spring flowers on the nose, which reappear in the mouth wrapped in a light- to mid-weight package. South Africa continues to punch well above its weight in the quality/value category. For proof, look no further than the Nederburg The Winemaster’s Sauvignon Blanc 2017. A trace of cut grass combines with the usual Sauvignon Blanc suspects (some citrus and gooseberry, melon, mineral) on the clean, fresh nose. In the mouth, it’s zesty and crisp without being overly green or aggressive. Great value Sauvignon Blanc that paired well with a Cape Malay Spiced Pickerel (see recipe at the end of the article; swap in any firm white fish, shrimp or chicken). A great light-lunch dish. Those who enjoy the flavours of Sauvignon Blanc, but prefer the treble turned down slightly, might want to consider the Norton Barrel Select Sauvignon Blanc 2017. Green apple, almond, and pink grapefruit aromas lead to flavours of ripe grapefruit and mild vanilla. Round, supple and less jarring than many Sauvignon Blanc-based wines. Long time Quench readers (going way back to the Wine Tidings era) will likely recognize the name Thomas Bachelder, who left behind the world of wine writing to enter the world of wine making with a series of international vinous ventures. At Niagara’s Domaine Queylus, he has put together a fine white in the guise of Domaine Queylus Chardonnay Tradition 2015. Elegant and refined, with stone fruit, mineral, citrus and some lightly toasty/honey notes on the nose. The palate is beautifully balanced and quite complex, with citrus peel, mild spice and assertive minerality. It would also be a good thing to have a glass of Arterra Chardonnay 2015 on hand as dusk sets in. This VQA Niagara Peninsula offers fresh white flower blossom, preserved lemon, a suggestion of green apple and a whiff of spicy/toasty oak. There’s a dash of mineral on the palate that integrates nicely into the wine’s creamy mouthfeel. Balanced and poised, with just a hint of baking spice on the tail end. If your taste in white wines leads towards the more decadent, consider the Newton Unfiltered Chardonnay 2014 from sunny Napa Valley. Very intense, ripe aromas of buttered nuts, ripe pear, baked apple and marzipan are followed with flavours suggesting lemon pie, hazelnut and peach. Very full and lush, it nevertheless shows great balance and a lively core of refreshing acidity. Finally, a truly iconic Napa Valley white to coast on through dinner and into the night. The 2013 Robert Mondavi Reserve Fumé Blanc is crafted from fruit sourced from some of California’s oldest Sauvignon Blanc plots within the coveted To Kalon vineyard. With a multi-faceted aromatic profile featuring savoury notes of dried garden herbs along with notes of lanolin and lemon cream that segues into a rich, full-blown palate that’s somewhat reminiscent of a classic Spanish white Rioja, showing a superb depth of fruit, impeccable balance and haunting length. An entirely friendly and welcome Great White. Lightly sauté shallots in oil until translucent. Add in dry spices (curry powder, turmeric), mix well and continue to sauté for 1 minute. Add in ginger, garlic, salt, chutney, lemon juice. Then whisk in coconut milk. Simmer for 6-7 minutes stirring occasionally. Transfer to blender, blend on high until smooth. Can sit overnight, tasting and adjusting seasoning. Combine all ingredients thoroughly. Rub into fish and let stand at least 15 minutes. Fish can be cooked with the skin on or off. Pan sear the fish on medium high heat with canola oil for 3 minutes per side or until fully cooked.